Hitting the road with your horse? Whether you’re traveling to a nearby trail, or an event across state lines, traveling with horses can be an adventure. It’s a good idea to review and brush up on your travel checklist, even if you’re an experienced hauler. If you are new to trailering, be sure to check out tips 9-15. 1. Check your truck, trailer, and tires. No one wants to be stuck on the side of the road, but it’s especially important when you’re hauling animals. And particularly in the summer months when standing still causes heat to build up in the trailer. Keep up on routine maintenance and if you suspect a problem, have it checked. Prevention is the best when it comes to avoiding delays for a down vehicle. 2. Carry water from home. How many of us don’t like hotel water? Horses can have the same feeling, but it can cause them to refuse to drink and lead to dehydration. Having water from home to offer if they resist can help ease the transition to a new environment. It can also be a life-saver if you’re stuck at a trailhead or stuck with truck or tire troubles. Bring 2-3 gallons for each horse in water jugs. Camping jugs that hold 5-7 gallons are perfect for traveling with a couple of horses. 3. Have your travel papers in order. If you’re traveling across state lines, you’ll need to make sure your Coggin’s is current. Each state has their own time requirements – some are 6 months, some are 12. You’ll also need a current Health Certificate or CVI (Certificate of Veterinary Inspection). Be sure to contact our office and plan for your travel check-up, allowing 2-3 business days for lab results and another 1-2 days for processing paperwork. We're happy to confirm current requirements wherever your destination. 4. Keep them healthy. Bio-security is key in preventing the spread of disease. This is extra important when traveling. Make sure your horse is current on their vaccines, and talk with your vet about any specific vaccines you may need in particular areas of the country or for certain shows.  If you’re traveling to an area that’s had outbreaks of diseases such as EIA or Strangles, your vet can help you asses if prevention or changing plans is appropriate. 5. Use electrolytes. If your horse is new to travel, or tends to get stressed in the trailer, using electrolytes for 2-3 days prior to leaving can help make sure they are well hydrated before you leave. 6. Emergency contact information. If you’re in an accident, emergency medical services are not likely going to be able to take care of your horses. Have an instruction sheet or card with you, in a truck glove box and in your trailer, that gives first responders the name and number of an emergency contact – someone who can be a point person for your horses if needed. 7. Carry an emergency kit. Keep a small pack of supplies on hand in your trailer. We’ve got a list here. You may also want to include anti-inflammatory medications. Talk to your vet about the right one and to get a prescription filled before you go. 8. Avoid traffic delays. This may be easier said than done, but simply checking your route ahead of time for road construction delays, or using an App like Google Maps or Waze can help divert you before you’re stuck. Getting in the Groove of Hauling Horses? These tips are especially helpful if you’re new to trailering or haven’t hauled in a while. 9. Train your horse for loading. There’s nothing worse than the stress of a horse who doesn’t want to get in the trailer. It’s not just stressful for you, but can negatively impact performance and increase the risk of problems such as gastric ulcers or heat stress in summer travels. So practice. Spend time getting ready. Encourage positive rewards and encounters with the trailer. Let your horse get used to the sounds and the space. Whether you’re traveling for a ride or to the vet, the day will go much more smooth when loading goes smoothly. 10. Load everything else first, horses last. This is especially important when the weather is warm. You can avoid heat buildup by being ready to roll as soon as the horses are in. 11. Do your own safety check. If you’re hauling in someone else’s trailer, do your own safety check. It's also wise to agree and write down ahead of time who will be responsible if a horse or the trailer is injured during hauling. 12. Know the layout. Never lead a horse into a trailer if you don’t have an easy escape route. Never enter the trailer with a panicked horse, and don’t open the door if there’s a chance the horse could bolt out and onto a roadway. 13. Have a rest stop plan. Plan ahead for fairgrounds or other areas you can safely stop and give your horses a break. On long hauls it’s good to stop and offer water every 4-5 hours to keep them hydrated. The horses might not drink, but offer them water when stopping for fuel or at a rest area. 14. Ensure proper ventilation in the trailer. This is especially important during summer months. Make sure windows and vents are open enough for airflow, but don’t let your horse still it’s head out the window – this could lead to serious eye injuries from flying debris and bugs. 15. Don’t park in the hot sun. Especially during the summer try your best to park in the shade if you’re stopping while your horses are in the trailer. Without the airflow with a moving vehicle, heat can quickly build up inside. With a little planning and care, traveling with horses can be a smooth experience. Happy trails!